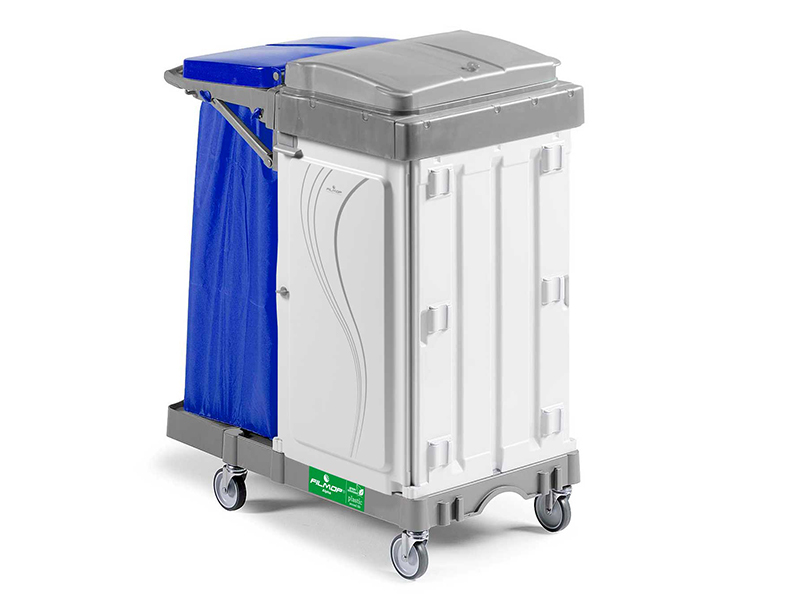 * The foldable bagholder 120 ltrs can reduce considerably the overall dimensions of the trolley after its use. systhem with removable key, and of shelves. 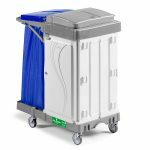 * 4-litre grey buckets with coloured handles to separate the different chemical solutions and the tools and cleaning equipment in use.